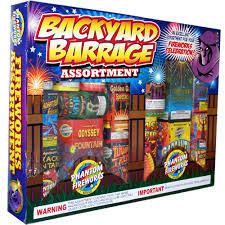 Duffy Brown here and its boom time again meaning its time for fireworks. They are pretty darn awsome in how they light up the sky but they sure make a lot of racket getting up there. 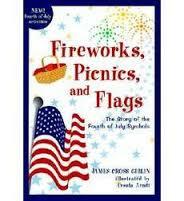 The 4th of July conjures up the idea of celebrating out freedom and celebrating a lot of times means fireworks. 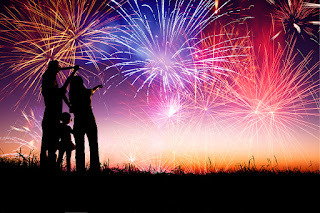 Do you have fireworks at your house so your 4th of July get-together has fun with sparklers and the like? Is there someone in the family who loves to put on a display for everyone? The designated firework guy or gal who loves to go out every year, spend a ton of money and put on a show for everyone? Or do you go to a community firework show? Pack up the lawn chairs and bug spray and head out to the park. Often they have you turn to a certain radio station and the fireworks blast off in time to the music. That’s pretty cool! We have fireworks display here in Cincy over Labor Day that draws 500,000. It is really amazing! People sit on the hills overlooking the Ohio River and the fireworks are set off from barges on the river. It is one big bang! And then there is the pet issue. I know of no pet who likes these things. My cats go nuts, my kids’ dogs hide and cry. 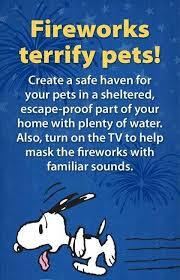 This really takes the fun out of fireworks for me. I hate to see my animals so upset. I close the windows and turn on the TV to drown out the noise. Poor babies. So what about you? Are you a fireworks person? Were as a kid? Love it or hate it? Have a crowd over for a big show? Have a wonderful 4th of July and God bless everyone who keeps us safe.